The solution that I work on daily within VS2010 has around 70 projects, and over time has begun to take longer and longer and loooonger to build. When I had enough time to walk away, make a cup of tea and come back between F5 and the login screen I figured I should do something about it. 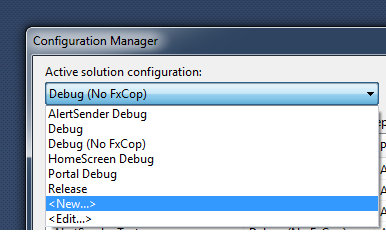 The first major improvement was to set up a build configuration that disabled code analysis (FxCop) when I was working day to day. 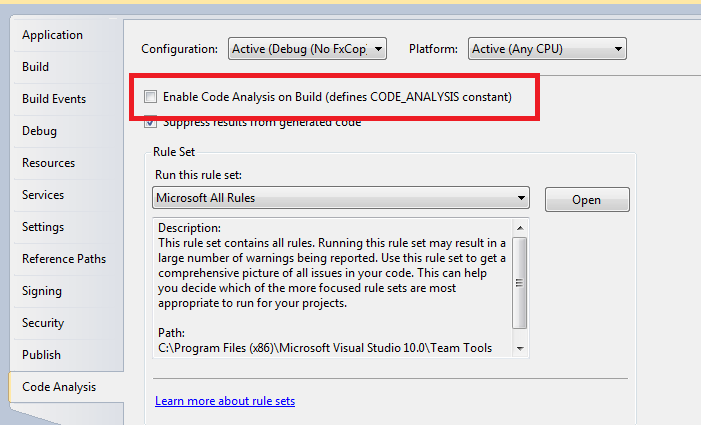 I still want code analysis running on the build server, but not every time I try to run the application. 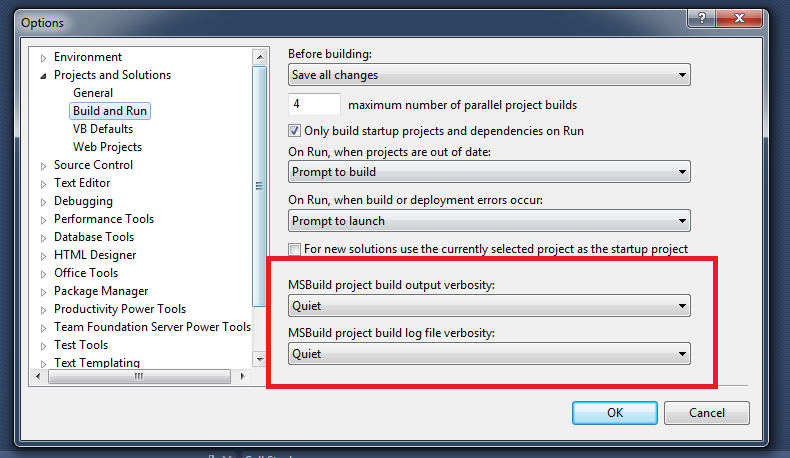 Apparently a huge amount of my build time was down to Visual Studio telling me how long it was taking to build!